The 2012 BMW 3 Series Li has been developed specifically for the Chinese market and should make its debut at the 2012 Beijing Auto Show. First spy shots of the 2012 BMW 3 Series Li made their way onto Germancarforum. The long wheelbase is being developed to appease the Chinese market. According to a source from the forum, the F30 3 Series Li will be manufactured in China and the extended platform will be the same one used for the upcoming 3 Series Gran Turismo. 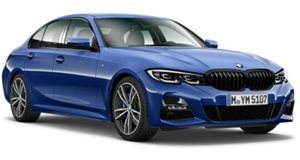 The F30 Series Li will directly rival the Audi A4L with extra space for Chinese customers looking for a more cost efficient car. The F30 3 Series Sedan identifies itself as an evolution of the current E90 bodystyle with hints of the F10 5 Series. The interior consists of a very impressive LCD screen, which was first spotted on the new 6 Series and F20 1 Series. The dashboard has been fitted with Black Panel technology that was derived from the 5 Series Sedan and Gran Turismo. What lies beneath the hood remains a mystery, at least for now. Unfortunately, the BMW 3 Series will not be available to U.S. and European fans. The BMW 3 Series Li will make its first public appearance at the Beijing Auto Show in April 2012. Photos courtesy of Germancarforum.